Richard R. Barkdoll, age 88, of Alliance, passed away peacefully at 7:40 a.m., Thursday, October 11, 2018, at Community Care Center. He was born March 8, 1930, in Alliance, Ohio, to Joseph and Cora Mae (Barnhart) Barkdoll. Richard, a 1948 graduate of Alliance High School went on to Kent State University to receive his Bachelor's Degree in Business Administration. A member of St. Joseph Catholic Church in Maximo, he also enjoyed working in his yard and trying out new recipes at the holidays. He was a veteran of the United States Army serving as a Sgt. from 1951-1954. Richard was employed at Alliance Machine and Morgan Engineering in Alliance before retiring from Union Metal Company as a CEO in Paris, Texas and Canton, Ohio plants. Survivors include his daughter, Holly Barkdoll (Dennis O'Connell) of Canton; and his faithful buddy, his cat, Sherlock. He was preceded in death by his wife, Anna V. (Kovalcik) Barkdoll, whom he married October 13, 1956, at St. Wendelin Church in Cleveland; three sisters, Gladys Rosenberger, June McLaughlin and Mildred Shipp; and a brother, Joseph O. Barkdoll Jr.
Friends may call from 5-7 p.m. Monday, October 15, 2018, at Cassaday-Turkle-Christian Funeral Home. A Mass of Christian burial will be held at 10:30 a.m. Tuesday, October 16, at St. Joseph's Catholic Church in Maximo. Interment will be at St. Joseph's Catholic Cemetery in Maximo. 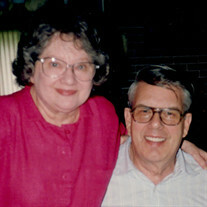 The family would like to thank the Duerr Family and Joe and Kay Polen for their love, patience and support. In lieu of flowers, memorial contributions may be made to the Dennis and Holly Endowment Fund for Creativity at Magical Theatre Company and may be sent to the Akron Community Foundation, 345 W. Cedar Street Akron OH 44307 or online to www.akroncf.org.